Backyard ponds are not just for daytime enjoyment. 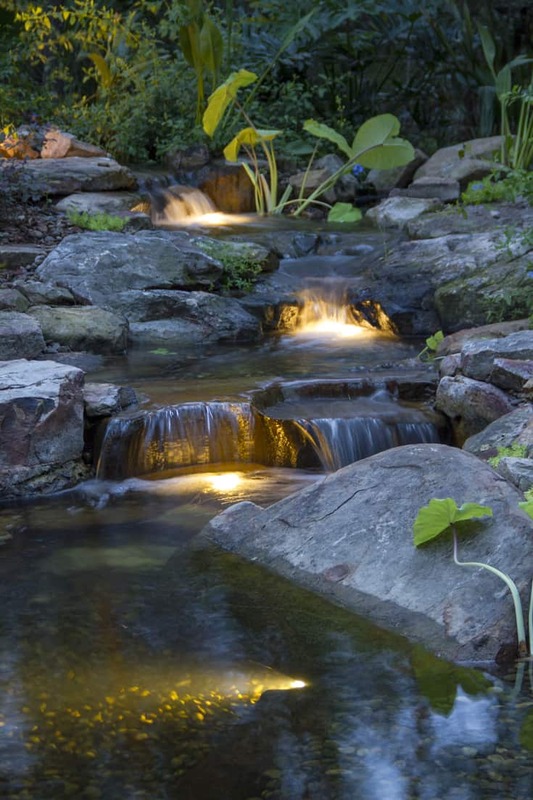 With the added touch of well-placed LED lighting, your landscaping, pond or waterfall can be enjoyed at night, too. Even a simple fountain sitting on an apartment balcony can be enhanced by the use of a fountain light that is designed to let water flow through the light fixture to create bubbling beauty. Plus, the push of a button easily programs them to come on at dusk and off at daylight.  The lights and wiring are easy to connect and install if you enjoy DIY jobs, but if the task seems daunting or too time consuming, Premiere Aquascapes has the expertise and experience to do it for you. Our LED outdoor lighting comes in various watt sizes and bulb styles to provide you with different ways to transform your daytime backyard water feature into a relaxing, beautiful gathering spot for friends and family for the annual reunion, birthday party or simply a weekend BBQ that does not have to end just because the sun has set. 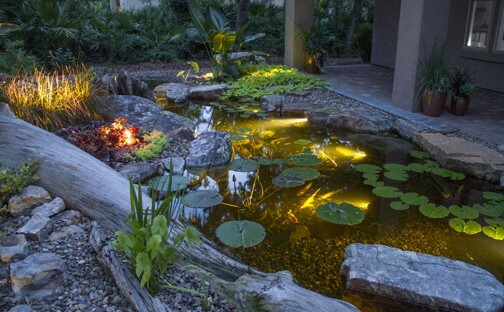 Both the popular bronze finish lights and the more economical plastic finish lights can be strategically hidden in the landscaping, set on the floor of the pond to highlight fish and underwater plants or even under waterfalls to bring your water feature to life at night. With LED pond lighting, you can draw attention to key focal spots and bring a relaxing, beautiful touch to your home or add stunning curb appeal to your commercial pond or water feature. 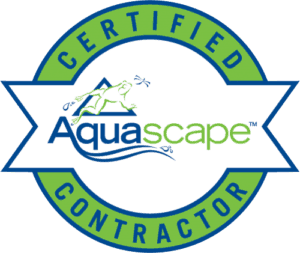 The options for customizing your water feature with LED outdoor lighting are as numerous and unique as each individual, and Premiere Aquascapes is the place to go to find the experts to help you design and install your LED pond lighting.